It has been said that time is speeding up. Whilst we don’t always know what that means, it has the implication that thoughts manifest as outcomes so much quicker. Therefore mental discipline and focused thoughts will become an ever-increasing important skill. Once the past is healed and the emotions are turned positive (as covered in last month’s blog), this mental discipline becomes the key focus of our work. So, how can you take charge of your mind and turn your thoughts in your favour? The single most empowering mental shift we can make is shifting our consciousness from Victim to Creator. Until this first realisation we basically have tunnel vision; unaware of who we really are and what we are capable of. Consequently, as we experience life’s challenges, we often feel the victim of circumstances. We then have the tendency to point fingers and blame others, looking for excuses; for reasons outside ourselves for the mishaps in our own lives. Victimhood may sound like a harsh word here, however that’s what we are whenever we feel something is happening to us and that we can’t do anything about it. Life doesn’t happen to you, life responds to you – Rhonda Byrne. It takes a huge mental shift from this cozy yet powerless position towards taking full responsibility. This first shift from Victim to Creator is an awakening to the fact that we are essentially powerful creators. A Creator-mindset implies taking responsibility, taking charge, exercising choices and options. When we first awaken to our own role and our own personal power, everything changes. 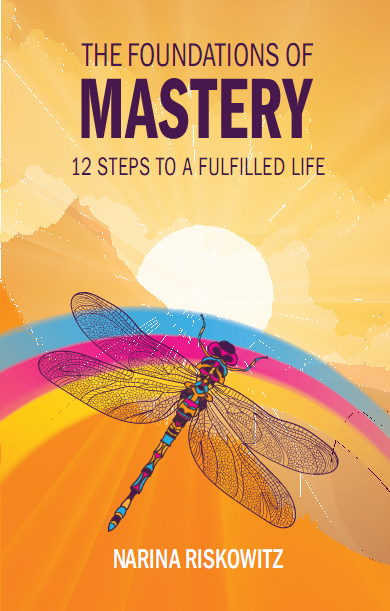 Our perceptions, beliefs, values, attitudes and approach to life change radically. The world of form becomes less solid. We become less externally orientated. Instead of looking outside of us for reasons of what is happening in our lives, we become aware of our own role in the events and circumstance in our lives. It is a huge process of self-discovery and the insights can be extremely self-empowering. You know you are an all-powerful creator of you own life. Here you may also look at what you might have chosen to experience in this lifetime and the people who have crossed your path. Sometimes you might think ‘Why would I have chosen to go through this experience?’ and it may seem negative, but when you look at it more closely you can see how this challenging experience helped assist you in your growth. As you think so you create. Thoughts create emotions with vibrations that attract likeness to us. For example, if I perceive the world as a fearful place, I will attract circumstances to me that create more fear. If I have a belief that people can’t be trusted, I will attract to me people that can’t be trusted, and so prove myself right. It is a simple Law of Cause and Effect. The belief attracts and creates the reality. This is why much of the self-searching work we do in therapy and coaching involves bringing these often subtle beliefs, perceptions and feelings into our conscious awareness. When we are aware of it, we can change it. As the Creator, you are in charge of the results you want to achieve. The Victim tends to come up with reasons and excuses for not achieving the results you wanted. The Creator ditches all reasons and excuses, and when you do, you begin to experience results. Taking 100% responsibility for everything in your life is very empowering. ‘For everything?’ you may ask. Yes, for everything that you are experiencing. This doesn’t mean you begin to blame yourself. No, it means you are taking charge of your thoughts, perceptions and beliefs, and that you are prepared to do introspection: “How did I attract this experience into my life? What am I learning from it? What do I want to do differently?” Through reflection, we learn, make change and grow. This is the Law of Attraction. Sometimes we hang onto our beliefs as if they are some truths. Beliefs are just beliefs. We don’t believe things because they are true. Beliefs become our truths because we believe them! We can only achieve in life what we believe we can achieve. Any limitation is self-imposed. When we flush out such limiting beliefs, we can change them because, the truth is that you have infinite potential and creative ability. We know this from Quantum Physics and equally from ancient wisdom like the Vedic text here made simple in an article on 6 illusions and how to go beyond them, courtesy the Chopra Centre website. When we really grasp the implication of this statement we can begin to unleash the power of the mind to magical effect. 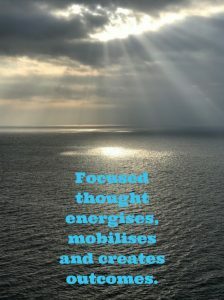 Focused thought energises, mobilises and creates outcomes. This is not just about positive thinking, it is also important to keep our internal mental images and feelings focused on what we want rather than what we don’t want. How often do we say or think: I don’t want to be ill or I don’t want to be late or I don’t want to fail? These thoughts put your nervous system in a state of fear and anxiety. So, you know what you don’t want, but what you do want? State your desires in the positive and in the present tense e.g. My timing is perfect, I can do this, I am naturally healthy. Such thoughts put your creative mind in a positive and empowering state. 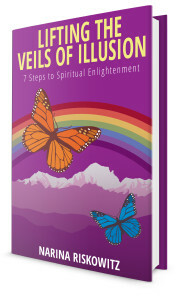 We perceive the world through the filters of our experiences, attitudes, values and beliefs. Therefore we perceive the world, not as it is, but as we interpret it. We create our own reality through our subjective perceptions. Carl Jung, the Psychologist, in describing the ongoing learning and growth process in life, said that some of our unconscious issues can be so deep-seated that we can’t easily uncover it. To learn from it, we then project our deep-seated unconscious issues out onto people around us, who inevitably reflect it back to us. We then think they are the problem, because we couldn’t see it in ourselves. And so the learning begins… What you see in others is who you are yourself – what you like about them and what you don’t like. Taking responsibility for our own perceptions therefore takes self-empowerment to a whole new level. When we take charge of our perceptions we can change it anytime. It’s just a perception, not a truth! It’s good practice to regularly question the way we perceive of people and situations. When we change our perceptions, everything and everyone around us change. And it happens quite magically. This is true empowerment. Yes it IS all in the mind. According to Bruce Lipton genes can be turned on and off by the mind! This thinking puts us in charge of our genes and therefore in charge of our potential and our health. It does however imply a great responsibility to monitor and question our thoughts and perceptions continuously. Negative, stressful thoughts and limiting beliefs have an immediate negative effect on the body and limit our potential outcomes. Positive thoughts and feelings cause DNA to relax and unwind so growth can take place, creativity can be tapped and new possibilities can be realised. The human being is far more magnificent than we realise and the potential you can tap into is infinite. 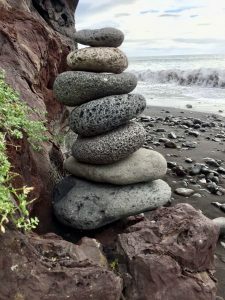 Sessions often combine powerful techniques such as Time Line Therapy™, Hypnotherapy and NLP (Neuro-linguistic Programming) for the best possible result. Time Line Therapy™ is the quickest and gentlest way to heal and release negative emotions such as fear, stress, anxiety and depression. Limiting beliefs are also changed into empowering, positive beliefs for healthy confidence. Want to join the forthcoming meditation course or undergo a step by step guided process of healing and creating your future? Join one of our personally transformational events. Visit our Events Calendar for forthcoming Events. 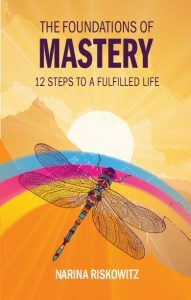 This entry was posted in Blogs and tagged goals, healing, Lifting the Veils of Illusion, meditation, Neuro-linguistic Programming, personal development, Preston, Time Line Therapy™, transformation by Narina. Bookmark the permalink.